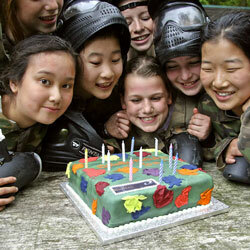 Don’t get us wrong… paintball has always been a popular sports option! The idea of red welts and bruises, however, wasn’t so appealing. In recent years paintball developers have constructed a low impact paintball experience that would appeal to a wider variety of people. The major turning point for paintball was due to the introduction of the 50-caliber paintball gun. 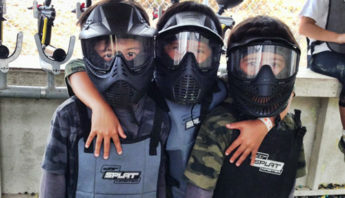 Because of the paintball’s smaller size, the chance of stings and bruises was much smaller. The gun was just the start of creating this low impact experience, though. Booking online at Crossfire is easier than ever. When you book and prepay, you save! 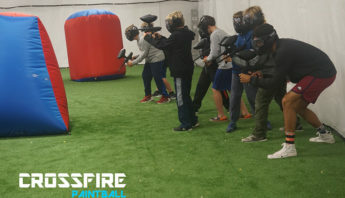 Book and prepay for any party at Crossfire Paintball and save $5 off the standard walk-in price. 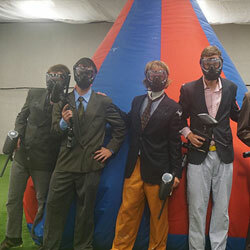 Think of your paintball party reservation like a dinner reservation. If you booked a party at 1pm, please arrive at 1pm. You won’t be eating at that time, but your table(s) will be ready! You may arrive early to set up! Parties arriving later than 30 minutes past reserved time will result in loss of time slot with no refund. Please arrive on time to guarantee a smooth experience! When you book a party online at Crossfire a table(s) is automatically reserved for you! Feel free to bring any food or non alcoholic beverages with you! Decorations are also welcome. Your table is reserved for you the entire time that you’re here! We sell basic concessions (chips, candy, ice cream, water, gatorade, and sodas), but you’re welcome to bring in any food of your own. Parties can bring pizza and cake at no extra charge! 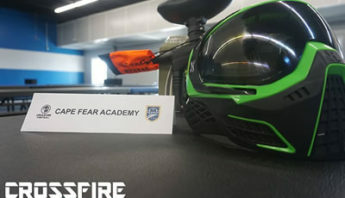 Once everyone is here and checked in, everyone will receive a rundown of their equipment and the game rules.The briefing will include a short 5 minute video showing all the game rules, instruction on adjusting gear, loading and unloading your paintball marker, and more! 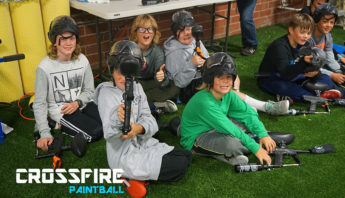 All play is fully supervised by a Crossfire Paintball crew member! After the safety briefing, our friendly crew will pass out equipment to your party. Equipment includes: marker, hopper, tank, protective mask, and 100 paintballs. The paintballs will be preloaded in each paintball hopper. Players can upgrade to a Protection Package (gloves and a chest protector) for $4.99. 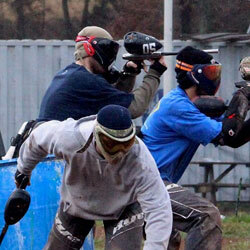 Your group will rotate the field with other groups during your time here at Crossfire. This ensures your group won’t play with another group with a completely different play style. We do group players together based on skill and age. You may select a private field during booking! This ensures no one else will be on the field with your group! Players will play 2 games, each approximately 3-5 minutes, and then rotate the field with other groups. During this time players will be reloading their guns, cleaning off their masks, and getting ready to get back on the field and play again! Most groups play for about an hour to an hour and a half. There is no time limit on how long you can play. 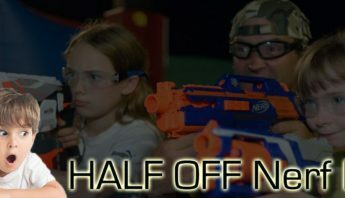 You’re only limited by how many paintballs you have! How fast will the paintball be flying towards me? Since we use a lower weight, 50-cal paintball, they aren’t producing as much energy when leaving the gun. Combined with the fact that we position our guns at lower speeds than a standard 68-cal, there’s less of a chance of being stung by a paintball hit. How does your distance from the shooter affect your experience? How does clothing play a role? Since our facility is 100% air-conditioned, there’s no need to worry about getting too hot. With that in mind, don’t be afraid to bundle up in comfortable clothing. When you have on a couple of layers, you’ll probably barely feel the paintballs when you get hit. What type of paintball were you shot by? There’s a big reason we don’t allow any outside paintballs. At Crossfire Paintball, we only use special Field Paint Only ammo. These paintballs are built to break open easily. Thanks to these non-stain paintball options, we can safely say that we offer our customers a low impact field. What temperature are the paintballs kept at? When paintballs get either too hot, or too cold, they have a tendency to seize up, making it harder for them to break open. Not only do our low impact paintballs get delivered on a climate-controlled truck, we keep them completely sealed in our own climate-controlled facility until they’re ready to be used. 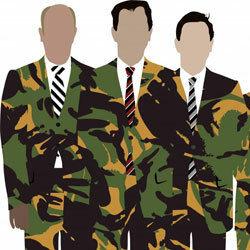 This idea further contributes to the low impact paintball experience we’ve been discussing.